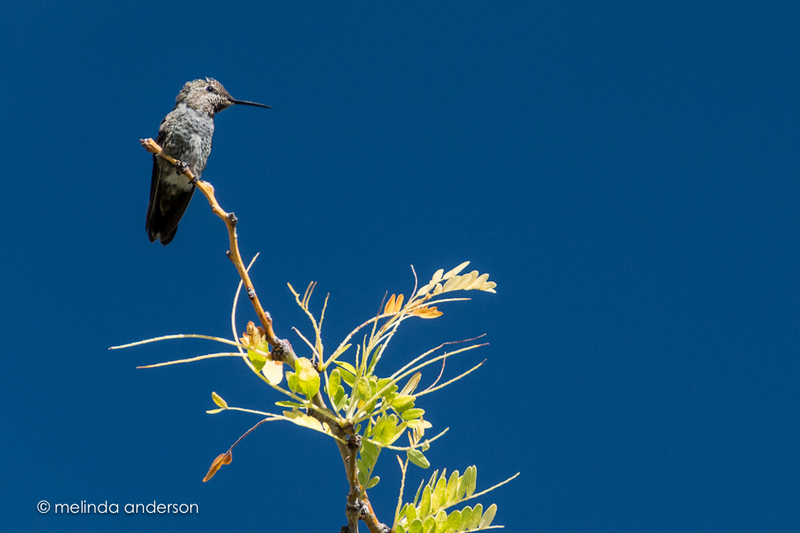 I have been home a lot for the last couple weeks and have enjoyed getting out in the yard to watch the hummingbirds. We’ve had more than usual, but the prettier ones (I won’t even attempt to name the species)tend to leave the yard when I go outside. 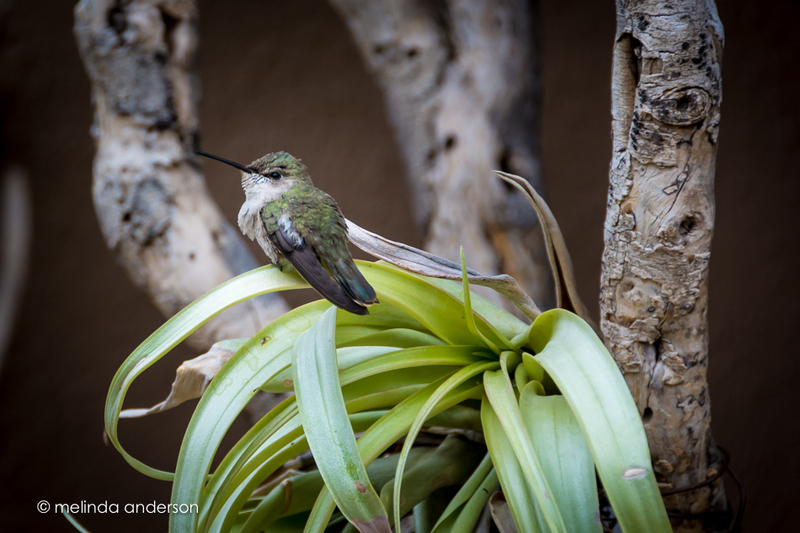 The feeder at the kitchen window attracts several hummers who sometimes (but not often) will feed at the same time. 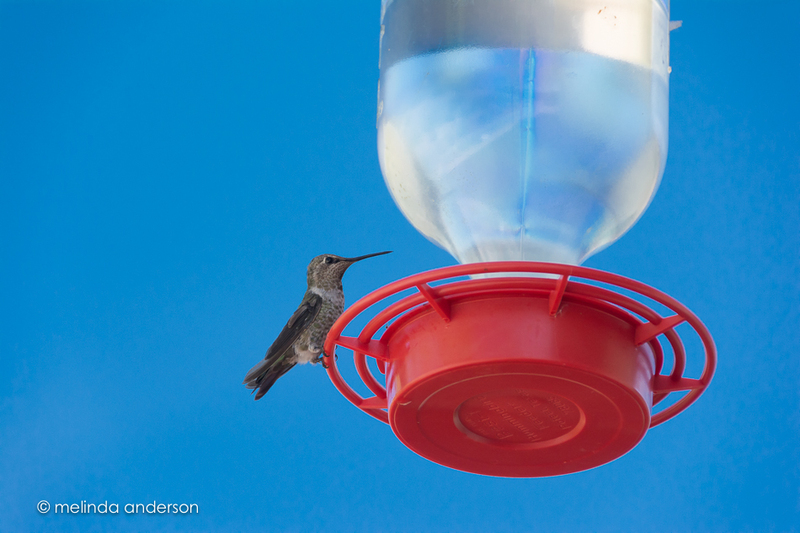 Our larger feeder out on the patio has been dominated by one hummingbird who sits on TOP of the feeder for over an hour at a time, preferring to guard it rather than feed. I have known children with that same personality trait! 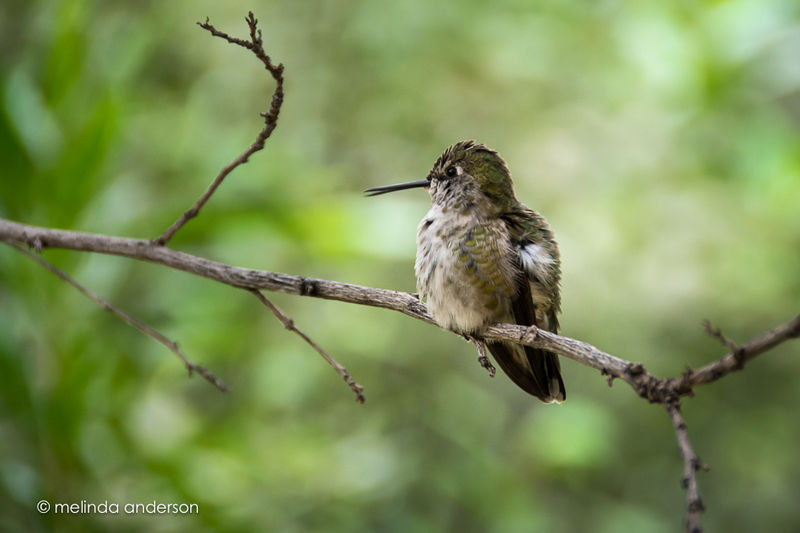 I’ve taken many, many hummingbird photos over the years. And now I am trying to take better ones. The hard thing is to take them in flight, in focus, and in a good spot in the frame (good composition and background). So far, I have many, many shots of their tails as they take off- or just sitting at the feeders. At least in this shot, the wings are outstretched and moving. 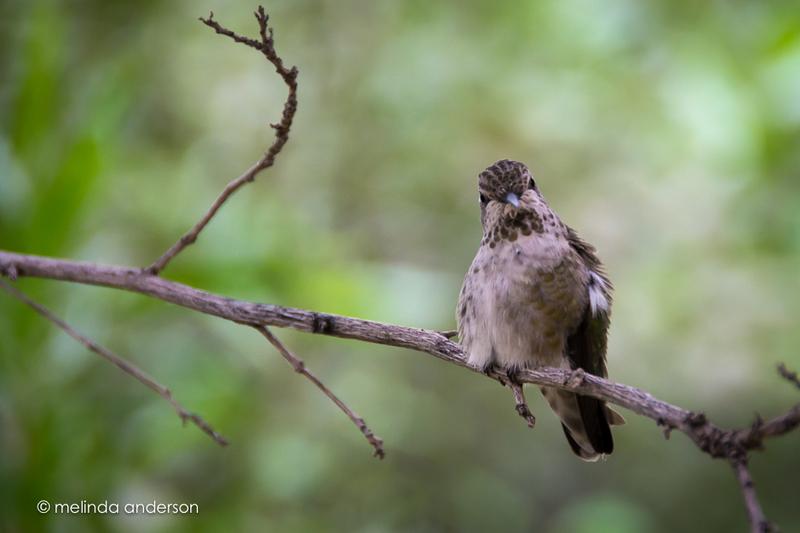 One of the areas we enjoyed the most at the Arizona-Sonora Desert Museum was the aviary- mostly because of the hummingbirds. 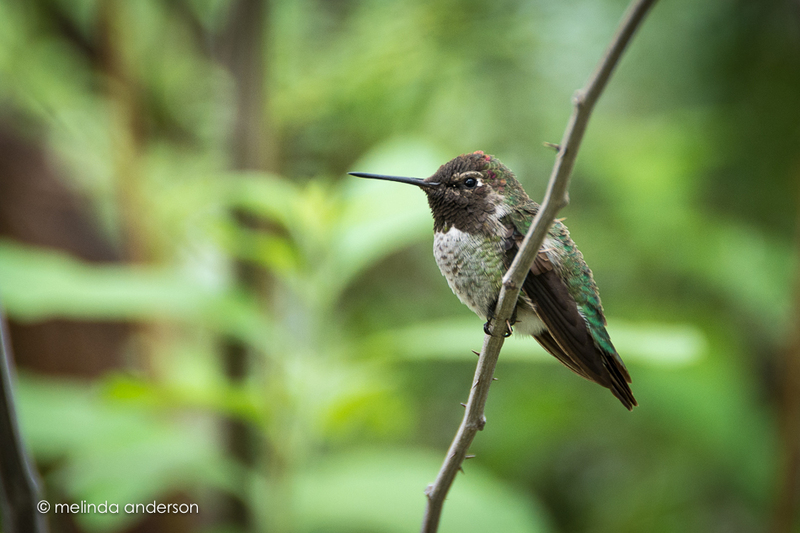 As we wandered around the paths, we were able to catch glimpses of many of these cute little guys.